I have been getting a lot of question lately about myths and rumors in the fitness industry. So I decided to write a blog post on some of them. I will keep adding to the myths and clarifying anything I can. If you have a myth you want answered drop the question in the comment sections and I will be sure to include it in one of the following posts. Here are 5 of the myths I heard lately. Static Stretching before exercise prevents injury! Nope. Gradual warm up is the key to preventing injury. Static stretching could actually lead to injury. 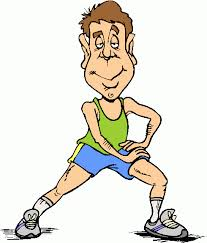 Your muscles are like elastics; they stretch and go back to their original shape. If elastic is cold and you tried to stretch it the chances of damaging it are greater. There has been no evidence that static stretching before working out improves performance. Warming up prior to exercise prepares your body for what is about to come. There have been many studies showing that a warm-up before exercise improves performance. If you do feel like you need to do some static stretching before getting into the meat and potatoes of your workout, warm up first then stretch then proceed with the workout. You cannot lengthen your muscles. It would be like saying yoga is going to make you taller. Your muscles have an origin point and an incretion point that cannot be changed. Yoga can help improve flexibility so your joints and muscles can move freely throughout their entire range of motion. You may get the feeling that they are longer because they are moving more freely through their complete range of motion, but they have not lengthened. No, or at least not much. Weight loss or “burning fat” is a product of energy expenditure. Yoga can be hard and in many of the poses you burn slightly more calories than resting but not a lot more. Yoga is just not intense enough. Cardiovascular training or high intensity interval training are two ways to increase caloric expenditure and increase fat burning. We hear this one a lot. If we could spot reduce scientists would not be wasting time and money researching obesity and potential cures. If doing sit-ups worked to decrease abdominal fat stores and in conjunction obesity, the research to find other cures would have stopped long ago. 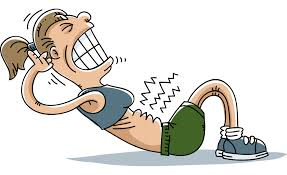 When doing sit ups or side bends or the inner and outer thigh machine you are actually stimulating muscle. By doing that type of strength and core training you will increase the strength and endurance of your muscles but do little to nothing to effect the layers of fat covering them. The more you sweat the more weight you lose. Yes and no, depends on what type of weight. You will lose the water weight through the sweating process. Athletes and those that sweat a lot can lose a few pound of water through sweating alone. 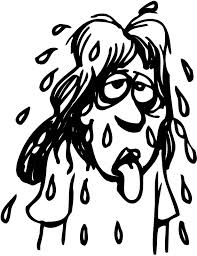 Sweating is a way your body regulates its temperature so that it doesn’t overheat. Sweating a lot doesn’t mean that your body is burning fat. Burning fat requires you to “burn” more calories than you take in, either by reducing the number of calories you eat or increasing the amount of activity you do. People can be in hot environments and sweat a lot but not burn enough extra calories to tap into their fat reserves for energy. Conversely if you restrict your calories consumption you can “burn” fat from doing your daily activities and not sweating at all. If you sweat too much and you don’t replenish the liquids you lost you can get into a dehydrated state, which can become potentially dangerous. That’s all for now. Stay tuned for more fitness myths in upcoming blog posts. Subscribe to my Fitness newsletter to get e-mailed when I have new blog posts. Send in your fitness and nutrition questions in the comment section below. ← Don’t look at failing as failure, look at it as learning.